Ana is not a squire! Who will be playing her Noldor teammate? If no one wants him, I'll play him myself. Iskar, would you like to RP Delarion the Noldor? Since you're a silvermist and won't RP yourself in the tournament anyway. Sounds great Saeros, looking forward to seeing this all play out! Thanks for the offer, but the Ethos event just reopened and thus I'll be busy enough, so I'll stay spectator for now. Let one of the other Silvermists do it, they are the ones with the most Noldor expertise. So, would you like to do it, Aldric? I guess there aren't many silvermists left these days. I can play the Noldor! The Noldor flamboyantly swishes his sword, but becomes tangled in his fancy scabbard, accidentally slicing a gash down his leg. He falls to the ground in the foetal position and weeps for the rest of the tournament. Sir Lawrence Oliver would shed a tear for that performance. How can you resist the opportunity to do what it is you do in the Arena... but with Noldor stats?! Oh Gods be good I hope Ethos is very busy. What? You're not afraid of Ana and Isknoldar, are you? Also, thanks Ana for the advice. Luckily a local colleague showed me around on my free day. Which was, oddly, the only day I got to actually eat local food. I hope you ate at McDonalds. Solely for the hashbrowns, their paprika flavoring is addicting. It's been over six months and I still have cravings for them. I picked up the paprika habit while I was there, but there is no way to mimic the McDonald's hashbrowns in the States. ...No, I did not eat at Macdonalds? Oh no! You have to go back then! There was a McDonalds right next to my hotel, and the hotel breakfast was insanely overpriced. I ended up eating at McDonalds most days... mainly because while paprika is good, once it is processed into fast-food form, it is outright addictive. If any of us ever have to cook for Ana, we know how to season her food. In in the Netherlands they have the McKroket, it's just a little piece of heaven! 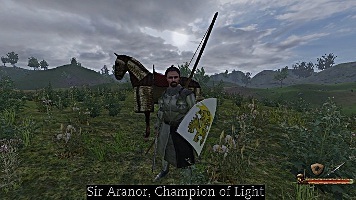 Seriously, we could all meet somewhere to talk about non-Pendor stuff. Then someone bring Egyptian paprika. Perhaps when we're rich and powerful, since most of us are thousands of kilometers apart from each other. Write down in your schedules already! 15.07.2023, general gathering of Aftermath players! - Might interest you to know that Dutch krokets are very famous down here. I thought PoP4 was coming soon. I didn't realize we would need to wait 10 years to finish Aftermath! No, we'll need 10 years to become rich and afford the tickets. EDIT: I really mean it about meeting someday, though. me meeting you all? Maybe one day. I know, we can get rich by actually making the pop metagame into a board game! Now this is interesting. I have already started it and was going to talk to Saxondragon and the devs for an actual permission to use the theme (if not, I'd change to Sword of Damocles or something). It would be non-commercial, though. Here, I'll upload some pics. I'll gladly send the manual if you want to take a look. I've been talking with my game-development partner about turning the Metagame into an actual game with a Gui too.